Having a clear vision for business growth and a tactical roadmap with specific objectives to achieve the vision. Build motivated teams operating at the peak of their intellectual and creative abilities to realize the common vision and “think on their feet” to adapt to changing circumstances. Build and nurture leadership qualities, foster positive interpersonal relationships in an environment of trust and cooperation. 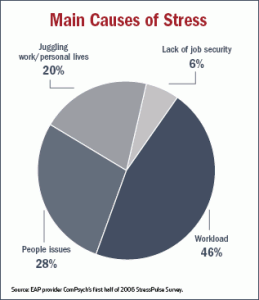 According to the American Institute of Stress increased levels of stress in the workplace is directly linked to medical and psychological illness and the majority experience stress because of increased workload(46%) interpersonal issues(28%) Some of the other causes are juggling personal and professional life and fear of job loss. The benefits of Meditation in the workplace are too many to detail. The most important outcome of having a company supported meditation group on the premises is that it fosters stronger bonds between employees and increases employee loyalty because they will feel that you care. Such weekly workshops create the foundation for a compassionate, high intensity, stress free environment. To schedule meditation workshops at your workplace contact Kanchana.